We are available by phone Monday through Friday from 8:00 AM to 5:00 PM, Mountain Standard Time. If you catch us after hours please send us an email or leave us a message and we’ll get back to you next business day. Our showroom in Boise is open to the public. Once you have all the prints you wish to purchase in your cart, click the shopping cart icon at the top right of your screen. Review your cart items to ensure all the images, sizes, frame depths, framing is as you desire. Click "Continue to Checkout". If you're not already logged in, you will be presented with a page where you can either "Fast Checkout" as a guest, login to your account or create a new account. Complete (or check) all the necessary information including billing/shipping address, payment information, enter any discount coupon codes you may have and click "Place Your Order" to complete your purchase. NOTE: If you checkout as a guest you are not able to view your order status online, regardless of whether you have an existing account or not, nor will you be able to view that order information in your account should you choose to create an account after that purchase. 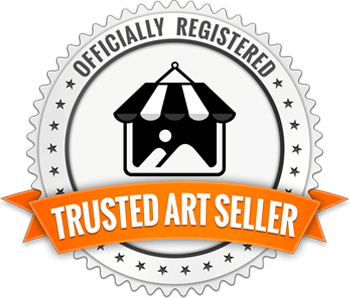 NOTE: The artwork store and our custom image upload tool are, due to the different nature of their ordering processes, actually two different systems and require a separate check out process (and account if applicable) for each type of purchase. That means that predetermined art cannot be purchased alongside custom uploaded art in the same order, nor can they be combined in a single account. We apologize for the inconvenience. DO I NEED TO CREATE AN ACCOUNT TO ORDER FROM YOU? An account is not necessary to purchase from us, simply choose "Fast Checkout" during the ordering process. However we do highly recommend setting up an account to take advantage of the below benefits, especially the ability to save a favorites list of the artwork you like as you surf through our site, there's a lot of artwork to go through so this is a huge help during your selection process and enables you to easily come back later and continue where you left off should you need to. Simply click on the "Create an Account" link at the top right of every page and follow the instructions to enter your information. You can also create an account during the checkout process. Please note that our art site and our custom artwork upload site are two different systems and each require their own account. If you have a coupon code, you must enter it in the “Discount Code” box during checkout for it to apply to your order. If you have any questions about how to use a discount code, feel free to call or email us at info@expresscanvas.com. DO YOU ACCEPT PHONE, FAX OR EMAIL ORDERS? Sorry for security purposes we do not accept orders except via our website. If you are having any issues with our site please contact us at info@expresscanvas.com and we will troubleshoot the issue for you. All of our products are priced in US Dollars. You payment method will be charged in US Dollars. We accept all major credit cards: VISA, Mastercard, Discover & American Express as well as PayPal. Your payment method will be charged in full at the moment you submit your order. Sales tax is only applicable on orders shipping within our home state of Idaho. Orders shipping to Idaho will be charged the current tax rate of 6%. 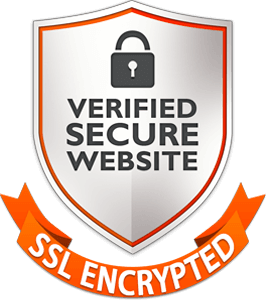 Our website features SSL authentication, short for Secure Socket Layer which is the definitive, high level security protocol used across internet e-commerce. Protecting your private data is our utmost priority. AM I ABLE TO LEAVE PRODUCTS IN MY CART AND COME BACK LATER? Sure! Take all the time you need and your artwork choices will still be there when you ready. Better still if you create an account you can save all your "Favorites" for later review. CAN I SPLIT MY ORDER BETWEEN DIFFERENT SHIPPING TO ADDRESSES? Sorry we are unable to do this, only one shipping address is allowed per order. While we prefer JPEG or TIFF images we work with most files including EPS, GIF, PDF, PDF, PSD, PNG or AI. If you are wanting to print artwork that includes text layers the text must be converted to outlines in order for us to open it properly. WHAT IMAGE RESOLUTION SHOULD MY FILE BE? We recommend uploading the biggest, highest resolution image you have. As a general rule the image will reproduce best if its original size is at least half the size of the canvas you are purchasing (i.e. 10X20 canvas = 5X10 image) Images with a resolution of 150dpi or higher will produce better results. The resolution of most digital cameras will work perfectly on canvas, however to maximize quality you should take your photos at the highest setting possible. Files that are larger than 2MB will generally produce fantastic results while files greater than 500KB will still work great for smaller canvases. Our upload software analyzes your file for the required quality for the size of canvas you are ordering and a graphic designer reviews every file before printing so even if you are unsure, go ahead and upload the best file you have and we will contact you if there are any issues with reproduction quality. WHERE CAN I SEE THE AVAILABLE SIZES FOR CUSTOM IMAGES? Once you upload your image file our software analyzes it and you will be taken to a page that lists the available size options based on your file, you will also be able to crop and change the orientation of your image. WILL I RECEIVE A PROOF BEFORE PRINTING? Typically no, if you require a proof please request one during the ordering process. If you do require a proof you can expect to recieve one within 2 business days. As our name implies, we like to do things fast. Your order is submitted directly to our production staff who will get to work on producing and shipping it within 2-3 business days*. Standard shipping typically takes another 3-5 days depending on your location, rush shipping is usually 1-3 days. Once your order ships you will receive an email notification that includes your tracking number. Please note that quantity orders, especially for large canvases may take longer to ship than our typical lead time. *The holidays are our peak period and while we staff for it our lead times during November and December can be considerably longer. Generally we ship to the continental US, Alaska, Hawaii and outlying territories. DO ALL ORDERS QUALIFY FOR FREE SHIPPING? Free shipping is only available to destinations within the contiguous United States. If your orders has not yet shipped then yes, of course we can still change the address for you. Depending on the circumstances there may be a small delay in shipping your order should you need to change its destination. Your satisfaction is 100% guaranteed! If you're not happy then we aren't either so please contact us immediately so we can work with you to resolve the issue. We want you to love your canvas and working with Express Canvas. All our products carry a 1 year workmanship and materials guarantee. If your order arrives damaged or defective please notify us within 3 days of delivery and we will remedy the situation as quickly as possible. 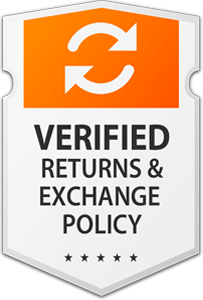 To begin the return/exchange process please follow the instructions below to notify us and include your order number along with a description of your issue, a Customer Service Representative will respond to you within 2 business days to get things fixed. WHAT DO I DO IF MY ORDER ARRIVES DAMAGED OR IMPERFECT? If you have any issues on receipt of your order please email us at info@expresscanvas.com with photos of the item AND the packaging it arrived in, we will ship you a replacement canvas at no additional cost. WHAT DO I DO IF THE IMAGE OR IMAGE SIZE IS INCORRECT ? Should you receive the wrong image or incorrect size please email us at info@expresscanvas.com with photos of the item AND the packing slip that came with it. We will process a replacement canvas immediately. Once an order is placed you have 24 hours to cancel your order and receive a full refund without question. Unfortunately we cannot guarantee that we will be able to cancel an order after this time as typically we will have printed your file and begun the production process. If you do wish to cancel and 24 hours have already passed, please contact us on 800.723.2131 and if for any reason we haven't begun production we'll be happy to refund you. Please allow 2-3 business days for any credit to be applied to your credit card. WILL THE COLORS ON MY MONITOR EXACTLY MATCH MY ARTWORK? The colors on your monitor will generally be close to the artwork you receive, however due to differences in color calibration of monitors, brightness and contrast settings etc, an absolute match cannot be guaranteed. WHAT CANVAS SIZES ARE AVAILABLE? The size, aspect ratio and orientation of our artwork varies by image. We pride ourselves on offering the widest variety of sizes of any of our competitors so you are able to get the perfect size for your space. If a size that you need for a particular image is not listed as an option on the website we do offer custom sizing up to a maximum of 54" in the shortest dimension, please contact us for a custom quote. Unfortunately we are unable to modify, alter the aspect ratio or crop any of our artwork images due to copyright and licensing restrictions. Our canvas is Certified Archival Quality, acid-free, pH neutral and made of a blend of polyester and cotton that provides one of the highest white levels available. Each stretcher bar is made from precision-cut, kiln-dried North American pine for superior warp prevention and larger sizes all have cross braces for additional strength. Smaller canvases will include a pre-installed sawtooth hanger while larger sizes will have pre-installed eyelet hangers. CAN I BUY A CANVAS PRINT THAT IS NOT ON A FRAME? Sorry, we do not offer rolled/un-stretched canvases at this time. CAN I PURCHASE A DIGITAL COPY OF ONE OF YOUR IMAGES? Sorry. due to licensing and copyright restrictions we cannot offer digital image files for sale. Use a feather duster or a soft dry or slightly damp cloth to clean your canvas, we do not recommend using cleaners or other liquids. While our canvases are protected with a UV resistant coating it is recommended not to display it in direct sunlight, outdoors or in damp areas. WHAT IF THERE IS A DENT IN MY CANVAS? No problem! To fix a dent lay your artwork face down on an ironing board or towel on top of a table. Use a household clothes iron on the lowest heat setting to gently iron out the dent from the back side of the canvas. If you are unable to correct the dent using this technique and your canvas is within our warranty period, please contact us at info@expresscanvas.com.